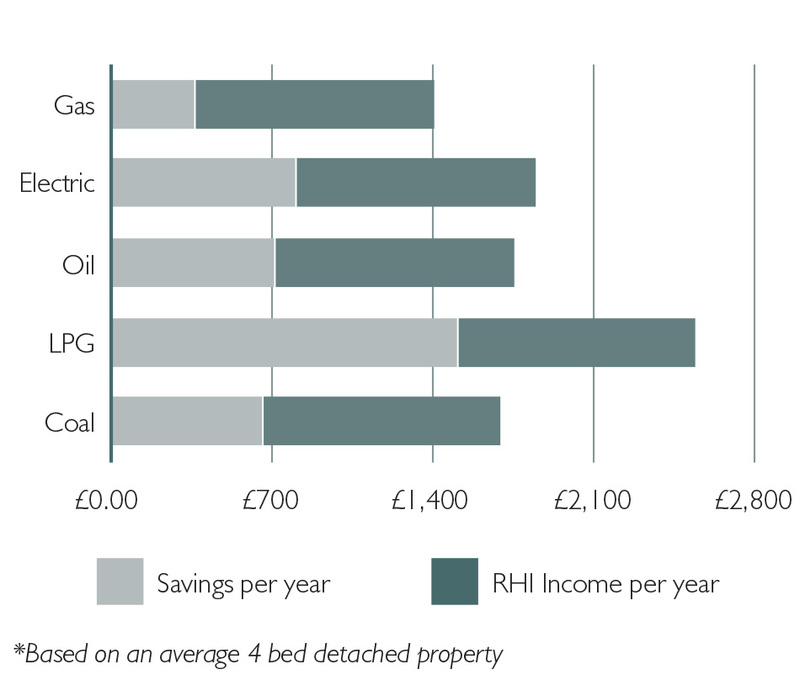 Heat Pumps, most notably air source heat pumps, are fast becoming the most popular renewable heating source in the UK. To date, around 30,000+ MCS accredited air source heat pumps have been installed in the UK since 2009. Though heat pumps require electricity to run, the way that they utilize this electricity means that they are a very cost effective and environmentally friendly way to provide your hot water and space heating requirements all year round. Chances are, you already have a heat pump in your own home, in the form of a refrigerator. A common misconception is that a refrigerator makes things cold…. What it actually does is to take energy from inside the fridge and transports it to the back of the fridge, hence why if you touch the coil on the back of your fridge, it will be warm, whilst the inside of the fridge is cold. If we reverse the operation, and apply it to an air source heat pump, you will find that the inside of the fridge now becomes your garden and the warmth on the back of the fridge is now the heat circulating around your pipework to your radiators / underfloor heating. The area directly in front of the heat pump will be much cooler than the rest of the garden because that energy is being transported into your property via the vapour compression cycle. Essentially, what is happening is that unusable energy from outdoors is being transformed into usable energy for indoors. 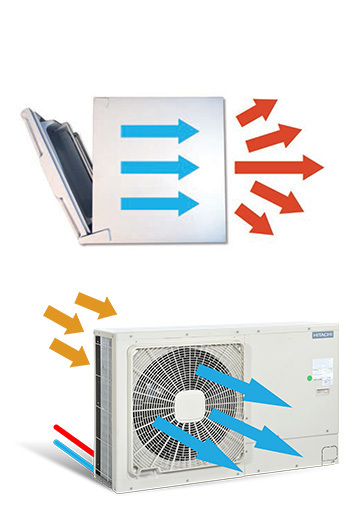 Air source heat pumps require electricity in order to power the compressor, circuit boards, circulation pumps etc.. For every 1kW of electricity used by the heat pump unit itself, it will provide around 4kW of heat. That means that 3kW of heat is being provided completely for free so you could say that a heat pump is around 400% efficient. If you compare this with a traditional gas boiler you will see that for every 1kW of energy used by the boiler, only around 90% of the fuel is used for heating. The rest is sent to the atmosphere via the flue. If you combine a heat pump with a SOLFEX PV system in order to offset some of the heat pump electricity usage, the running costs of the heat pump reduce even further and if you can also install a SOLFEX Solar Thermal and Underfloor Heating system you truly have a whole house solution.